TEN7AVENUE: Travel | There Is Love in the Philippines! Travel | There Is Love in the Philippines! Before the love month ends, it is such a beautiful story of love from a friend I have met in a hostel that I will share. I have asked his permission of writing about it and post it in my blog, but will not disclose names. A love that happened traveling solo! 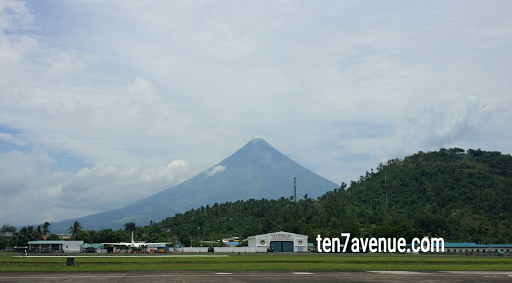 Legazpi City, Albay is a Southern Luzon destination in the Bicol Region. It is home of the perfect cone volcano, Mayon Volcano. There are variety of accommodation to choose from and one of it is at a hostel named, Mayon Backpackers Hostel - a hostel not in the main road but familiar to many tricycle drivers. Arriving in the hostel, I have met a Belgian friend who is my roommate. He is also traveling solo, but according to him, it is his first time to do a solo travel while I have been to many. We shared some stories where to go and eat in Legazpi since he has arrived a day earlier than I. We have shared some whereabouts, travel experiences and places to go in the Philippines. Such a very good conversation and then I have won a friend in him. Oh, as a new friend, a photo opportunity is a must and share of social networking sites, too! In the hostel, he met an Austrian girl, pretty, red-haired, and traveling solo too. They get along well in the hostel as I go around the city and nearby areas to tour. I have met them both, and at the back of my mind, such a lovely couple to be. Let's do a bit fast track, my vacation has ended and my friend is supposed to proceed to Cebu City, but he has extended to accompany the beautiful lady. Such a sweet gesture from him, but that time I have thought it is normal to some travelers like him since they own their time on vacations and be with other travelers as they usually travel for several months. But, guess what, it all started from there. My friend traveled next around Asia - in the Borneo, Indonesia, Malaysia and Nepal. Along those countries, he met the red-haired girl again; they traveled together; they spent time together, and...they became officially a couple! It all started in the Philippines! Two foreign visitors met in Legazpi City, Albay and became a couple as they travel together! Lovely! I hope you enjoyed this story. Thank you for visiting my avenue, www.ten7avenue.com.